The holidays provide precious moments to relax, socialise and think about your future. In doing so, remember all of your successes in 2015 and think about the quick changes you can make to prepare yourself for 2016. 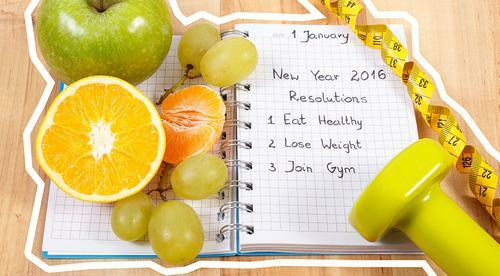 Here's to a Healther and Happier You in the New Year! Write down all of the things that are important to you that you may not have made enough time for this year but would like to do more of e.g. time with family and friends, regular exercise, quality sleep, eating nutritious food. This is your ‘start doing’ list. Write down those things that have been detractions this year, that you would like to do less of e.g. late nights, long unproductive hours at work, too may take away meals, time spent online. This now forms your ‘stop doing’ list. At least once a week, try to swap something on your ‘stop doing’ to a healthier habit on your ‘start doing’ list, it’s as simple as that! Establish a sleep routine and stick to it. Practice a relaxing bedtime ritual – a calming routine activity can help separate sleep time from activities that cause excitement, stress or anxiety. Switch off and remove distractions – Tv’s, laptops, ipads, phones. Create a calming sleep environment in your bedroom. Get comfortable – make sure you’re happy with your mattress, bedding and pillows. Traveling with the family these holidays? Break up long road trips with some short active breaks. Swap the fast food drive through for a pre-packed picnic. Include a ball or Frisbee so the kids can run off their ‘back seat boredom’ while you rest. Eat breakfast, small regular meals during the day of a party or event. Eating every few hours will help stimulate your metabolism and a light meal before you go can help you avoid overindulging in heavy party foods. Drink plenty of water during the day and if choosing alcoholic drinks, go for low percentage options, avoid sugary mixers and alternate with non-alcoholic drinks throughout the night. If ordering from a menu, don’t be afraid to ask for small changes to your meal. Hold heavy dressings or sauces.